Bahria Town Nawabshah is located at the prime location of Qazi Ahmed Road near the Rohri Canal Bridge and it comes with all excellent infrastructural developments and facilities peculiar to Bahria Town. 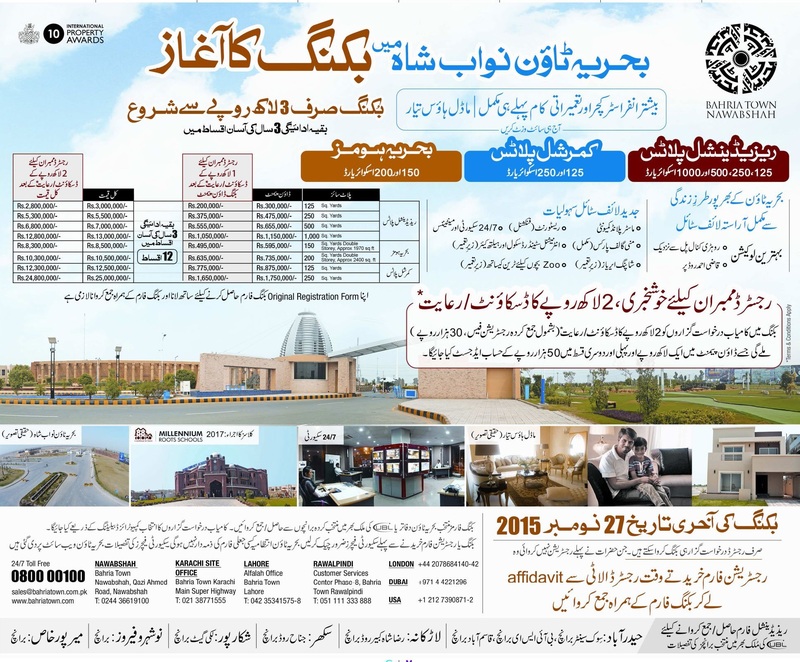 Bahria Town Nawabshah registration forms had been launched earlier and same registration forms were being traded in the market for last few months. 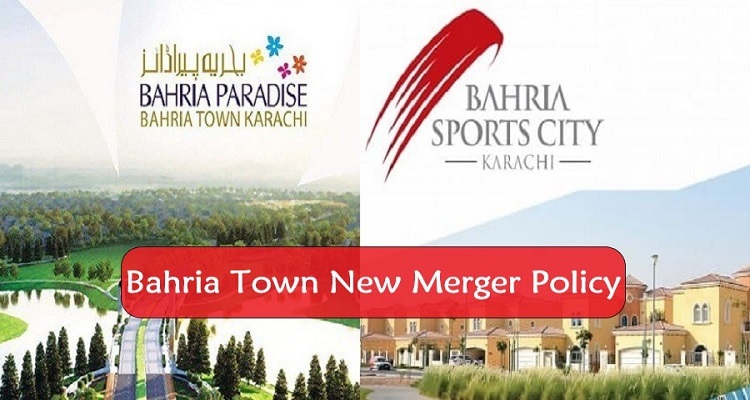 Bahria Town has now announced booking of residential plots, commercial plots and bahria homes on 3 year installment plan. Bahria Town has already completed much of basic infrastructure and construction work including model house in Nawabshah so the delivery of the project should not take much time. Only registered members are eligible to apply for booking, and successful applicants will be able to enjoy discount of 2 lac rupees including paid 30 thousand registration fees. This discount will be adjusted in down payment and first 2 installments. Bahria Town Nawabshah offers 125 Sq.Yards, 250 Sq.Yards, 500 Sq.Yards and 1000 Sq.Yards residential plots, 150 Sq.Yards and 200 Sq.Yards Bahria Homes and 125 Sq.Yards and 250 Sq.Yards Commercial plots. Last date to apply for booking is 27th November 2015. If you have not registered for the project already, you can buy registration forms from open market alongwith affidavit of the respective member so that you can use that registration form with your application. Original registration form will be necessary to obtain the booking form and same should be submitted with the booking form. Booking forms can be obtained from and submitted at the nominated bank branches of UBL which are mentioned on the advertisement.